Wysong Cat Treats help keep your feline in a great mood all through the day. These yummy, nutritious bites help create a well balanced diet for your pet, one that is nourishing as well as delicious. The treats can be fed along with fresh food, Wysong dry and canned foods and food supplements. 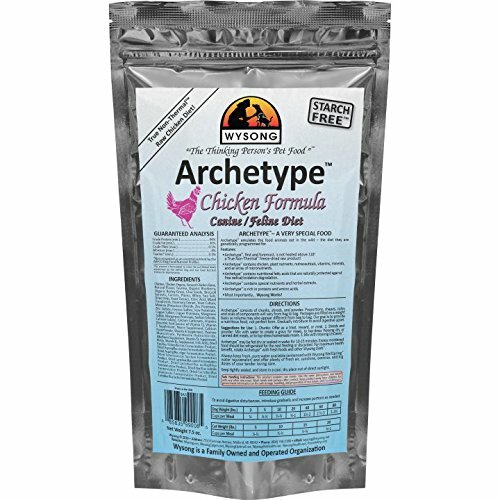 Archetype is the original raw dog and cat food diet from Wysong and emulates the food canines and felines eat in the wild – the diet they are genetically programmed for. Starch Free Wysong Epigen represents the first important kibble pet food innovation in almost 60 years (patent pending) and moves conventional dry extruded pet foods much closer to the high protein meat-based, starch less foods carnivores are genetically designed for. With that, they are given greater opportunity to enjoy their full natural health. Epigen is equally appropriate for both cats and dogs. 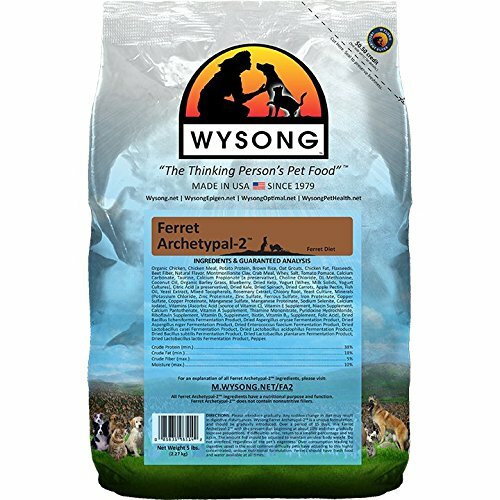 Ferret Archetype (formerly Archetypal-1) is the original raw ferret diet from Wysong. It is reflective of the natural carnivorous, raw diet of the ferret – the diet they are genetically programmed for. Recovery Of An Animal That Is Anorectic, Undernourished Or Otherwise Debilitated Can Often Hinge On The Ability To Supply Adequate Nourishment To Repair, Restore And Build. 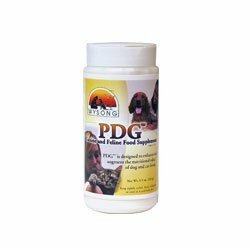 Pdg Is Specifically Designed To Reflect This Understanding And Can Be Mixed With Water To Form A Paste For Force Feeding If Necessary. Ita Isa Madea Ofa Aa Basea Of A gently Aprocessed, Aconcentrated Meats Anda Organsa From Avarious Asources Ato Aaprovide Aatheaa Major Aanatural Aaproteins, Aafatsa And Acalories. Avitamins, Minerals, Enzymes And Probiotic Cultures Are Naturally Derived, And Provide Nutrients To Cat Or Dog In The Form That Its System Was Designed To Recognize And Utilize. 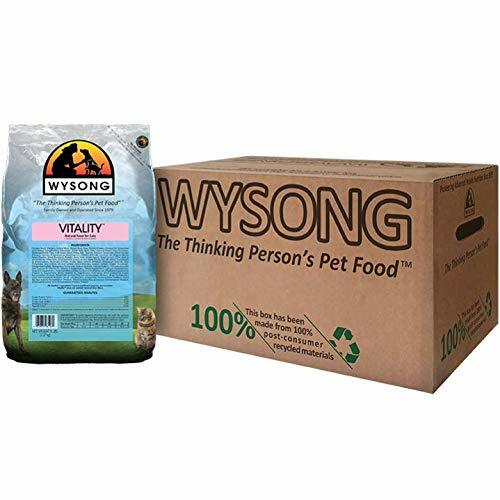 For the past 35 years the Wysong goal and commitment has been to reconcile modern food forms and processing with the natural canine/feline diet. Wysong Optimal Diets represent new advanced technology that moves companion animal nutrition closer than ever to archetypal genetic expectation. With freeze-dried shreds of organic chicken mixed in, Optimal Performance holistic dog food offers the benefits of raw feeding and superior kibble in one package! Optimal Performance contains very low levels of carbohydrate, low glycemic index, multiple organic ingredients, unsurpassed levels of enzymes and probiotics, natural omega-3 : omega-6 fatty acid ratios, a superb spectrum of micronutrients, including life stage specific nutraceuticals, and more. 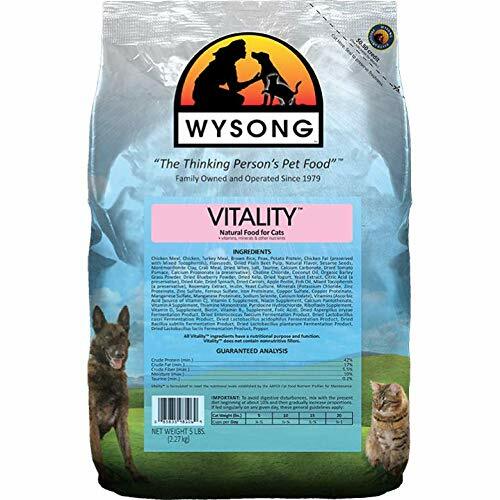 No feline diet on the market has proven itself like Wysong Vitality. It was created by Dr. Wysong and owes its popularity solely to veterinary recommendation and word of mouth. Vitality has been fed to tens of thousands of felines through multiple generations for over thirty years. It promotes robust vitality and well-being during the adult years. This improved formulation is designed to take advantage of new processing methods to preserve natural value, and nutritional advances in epigenetics and nutrigenomics. Vitality now contains 36% protein, high levels of fresh/frozen and dried meats and organs, protein, and fat, and a comprehensive spectrum and higher levels of micronutrients/nutraceuticals including prebiotics, probiotics, enzymes, omega-3s, antioxidants and more. Small quantities of fruits and vegetables mimic what may be consumed in the viscera of prey, and contribute important vitamins, minerals, antioxidants and other nutrients. 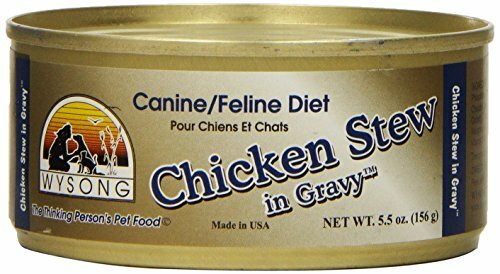 Chicken Stew in Gravy canned dog and cat food contain healthful chunks of real meat combined with diced vegetables in a thick, healthy gravy that both dogs and cats find highly palatable. 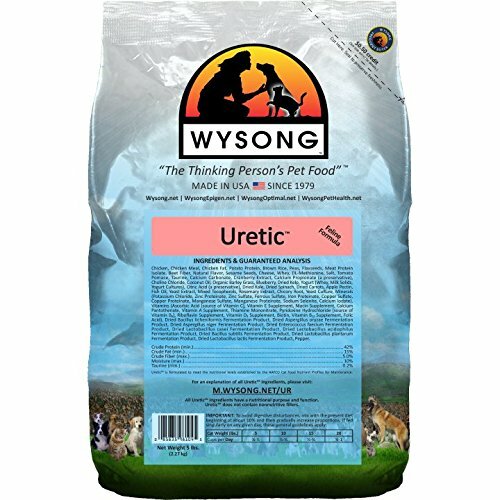 Uretic has achieved extraordinary results in tens of thousands of felines through multiple generations for over thirty years. It was created by Dr. Wysong and owes its popularity solely to veterinary recommendation and word of mouth. By targeting wellness, immune and urinary systems, Uretic has proven itself as a diet that creates robust vitality. This improved formulation is designed to take advantage of new processing methods to preserve natural value, and nutritional advances related to epigenetics and nutrigenomics. Uretic now contains higher levels of fresh/frozen and dried meats and organs, protein, and fat, and a comprehensive spectrum and higher levels of micronutrients/nutraceuticals including prebiotics, probiotics, enzymes, omega-3s, antioxidants and more. Excess minerals are eliminated, natural sourced, urinary-important methionine are added, and small quantities of fruits and vegetables mimic what may be consumed in the viscera of prey, and contribute important vitamins, minerals, antioxidants and other nutrients. Ferret Archetypal-2 is a highly palatable, chicken-based, extruded formulation. 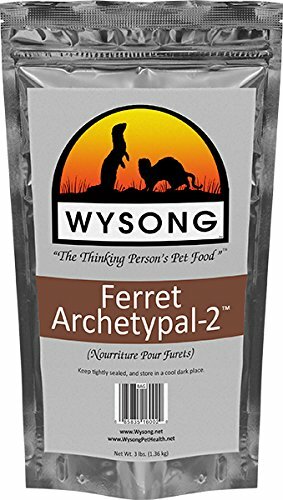 Ferret Archetypal-2 uses fresh ingredients as starting materials with an emphasis on naturally complexed nutrients – not just isolated, improperly balanced, poorly bioavailable synthetics or food fractions. 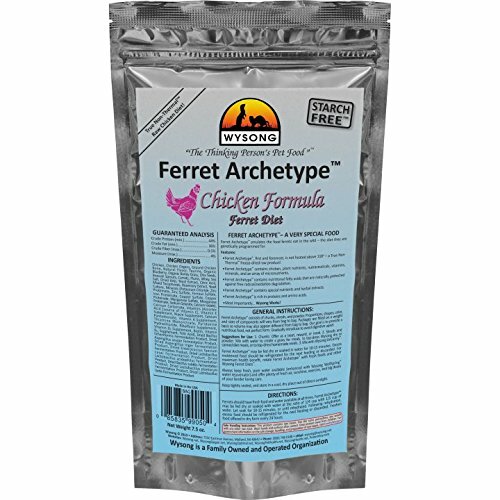 Ferret Archetypal-2 meets the needs of ferrets for a food with meat-based protein and nutritious fats.